Made of 100% recycled nylon with a DWR (durable water repellent) finish, the Boys’ Torrentshell Jacket is an H2No™ Performance Standard 2.5-layer recycled nylon waterproof/breathable hard shell that’s fully taped for seriously wet weather. Hot springs, icebergs and lush landscapes—if you visit the “Banana Coast,” as locals call Greenland’s southern shores, be prepared for wet weather. 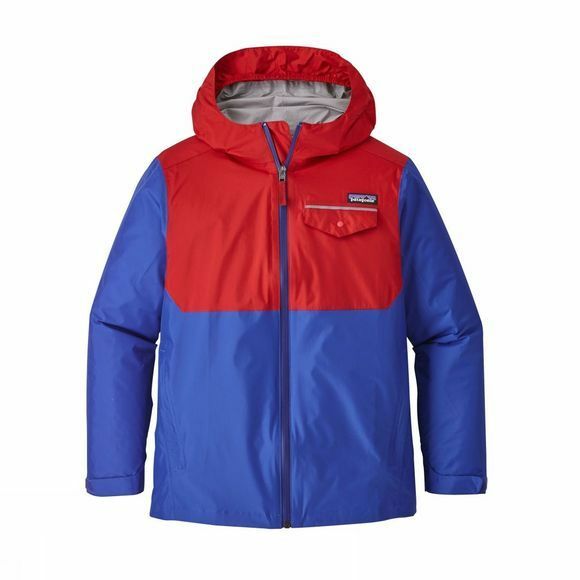 Our Boys’ Torrentshell Jacket helps him enjoy it all, regardless of conditions, with H2No™ Performance Standard protection that’s durable, lightweight and versatile. 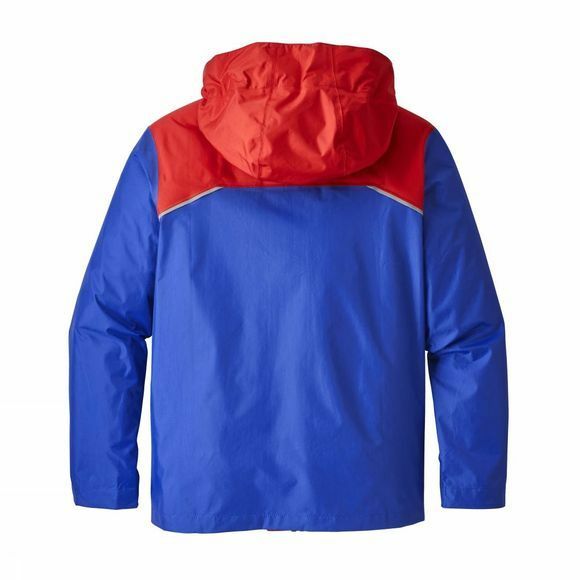 To handle all manner of inclement weather, the 2.5-layer recycled nylon jacket is fully taped and has a waterproof/breathable barrier, a DWR (durable water repellent) finish and a full-length waterproof zipper with internal storm flap. Additional protection comes from the 3-panel, stay-put hood, which has an elasticized gusset under the brim; cuffs that adjust with hook-and-loop closures and a hem with an adjustable drawcord. The contrast color-blocked yoke has reflective tape on the front and back, and the zipper has a reflective pull. Two handwarmer pockets and one internal mesh drop-in pocket stash treasures.